By now, only the most ignorant amongst us has any doubt about the true objective of the AOC’s unachievable goals with CCMS. With respect to the AOC’s solution: Our advice? Run! Run! Run! Run! Run! Run! Run! Run! It is difficult to get anyone with an addiction problem to drop the addiction unless they want to. You can’t get people off of smoking cigarettes by outright banning them because prohibition has never worked, people are addicted to them and will pay the black market price whatever it may be. Regardless of the addiction, one must first be able to get the offender to admit they have a problem. Getting the AOC to admit that CCMS can never work as envisioned would be tantamount to a great white shark permitting you to perform dental work on it as it swims the ocean. The AOC has so much ego invested into the train wreck that is CCMS, they refuse to tell you that it cannot work as designed, yet wish you to believe it does work as designed so that they can make the sale to others and continue empire building. For what other reason would they wish to silence their critics with a back room deal that seeks to conceal the issues in Sacramento? There can be no other reason and the public and other courts should be thankful to Sacramento for not being quiet, even after the deal was made. CCMS can work easily enough and produce somewhat promising results when run locally on a local area network. Once outside the courthouse on a wide area network connection it develops serious, unsatisfactory performance issues. How does one go about addressing this one fact? Get all 58 counties to agree that CCMS needs to be installed locally and not over a wide area network. Contrary to Ron Overholt’s assertions, it does indeed matter where the box resides in relation to the application. Several people have made references to facebook when discussing CCMS and CCMS architecture. Facebook’s architecture is one where the entire application resides on their servers in Prineville, Oregon. CCMS splits that application architecture and it is that split that contributes to the serious performance issues. Facebook does not manage large files whereas CCMS is expected to. Once you are in the realm of managing/moving large files you’re in a whole new ball game where local area networks can move data up to ten thousand times faster than wide area networks. CCMS should only be installed on a local area network. Period. End of the story. As to if the application should even be used? We loathe to see john q. publics money wasted but this is really a case where technology outpaced the project, rendering the project near obsolescence during its unnecessarily significant development time. Before completion of any V4 rollout with the time it is projected to be rolled out on the AOC’s schedule, there better be a V5 in the works (at who knows how much cost to the taxpayers) to alleviate all of the technology slated to be obsoleted by the current application. In essence, a gut check is necessary to determine if you even want to get on that hamster wheel that will end up costing billions more. Over the last 10 years the AOC has had ample time to invest into people that should be able to take the CCMS development ball and run with it. If they ever had any intention of ‘taking over’ then they would have done so. They lack and have not developed the in-house expertise to support the application, relying on Deloitte to perform most, if not all of the work. They AOC is just the middleman so while they may own the application, Deloitte owns the AOC. As witnessed by Orange county when they sought modificiations to their version of the application, they went elsewhere to get them done. They didn’t go to Deloitte. Why? Because they were too expensive. Warning: The video that follows should offend just about everyone in this discussion. While it will stay with Sheila Calabro, Mark Dusman, Bill Vickrey, Ron Overholt and Stephen Nash forever, the rest of the judicial branch doesn’t need to continue to suffer from it. We live in a state where there is more software innovation than any place on planet earth and as such, these epic management failures now spanning some 10 years and involving the same players are inexcusable. These people should all be fired. Only after CCMS is installed in the local courts should the idea of linking all of the underlying databases in each court to one big database in a central repository be considered. 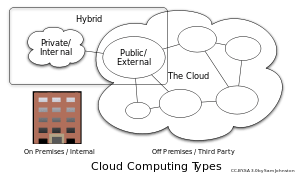 Here is where cloud computing may gain the judicial branch greater leverage than the CCTC at a small fraction of the hosting costs as the flexibility of cloud computing permits lightning fast response in a distributed environment. A later V5 version could embrace cloud computing entirely, placing edge servers in the courts. Without some monumental leap in technology and telecommunications, the AOC will not be able to achieve the goals of the V4 program as envisioned. The issue with all that has been outlined above is that the AOC lacks a reason to backcharge your court for their personnel and their overpriced CCTC operations. Since it would interfere with their empire building and dash any hopes of the level of control over court finances and operations that they had previously expected to achieve that serve to fund their bloated operations, we feel that doing the right thing is not in the cards for the Judicial Council or the AOC. Today, it is about saving face long enough to retire. Let someone else sort out the mess afterwards. Blame the legislature for the AOC’s failure to plan and the money they refused to doll out on Ronald George’s bridge to nowhere. Meanwhile, time is on their side because no one is willing (or able) to hold them accountable. What CCMS should have been about is defining a common architectural platform/database on the back end as a standardized dataset. If this was achieved, then the modular design of plugging in, say, a family court module or a small claims court module or a probate court module would have been achievable. Having not seen the database constructs, we cannot comment as to if it is currently achievable, although we cannot imagine it would take too much effort to define. This modular concept would encourage anyone else that develops case management systems to develop modules for it that suit different sized courts purposes. The same modular architecture could be extended to the database, with a branch that only does small claims (for example) having only a small claims module and database. That database in turn would be a subset of the entire courts database. The entire courts database could then be a subset of a statewide database. In conclusion, software such as this must start and be deployed locally for it to perform satisfactory. Local deployments would be the foundation for a future statewide system. Just as you wouldn’t build a skyscraper on a mound of sand, so shouldn’t you build CCMS on a pack of lies. JCW, I am sure I could find this answer somewhere in the last few posts, but you probably know the answer very quickly. Which courts have CCMS that is hosted at the CCTC? JC, I am guessing SLO, Fresno, San Diego and whoever else is left. Well the good news is Sheila and Bill are retiring and Stephen Nash is going to be the CEO in the San Bernandino court. the announcement came out today. I am guessing/hoping that Ron O is not long for the AOC world. The other news is that Justice B, the chair of the CCMS committee and his minions are trying to woo the small courts by “creating” a small court version of CCMS. Of course, the small courts will have to do all of the work to create that, i.e. mapping out the whole case processing process. Predictably, the AOC will provide the courts an AOC employee to help them in this process i.e. tell the courts what they want/to do. What is interesting is for the last at least three years, small courts have been sending folks at their courts considerable expense to So CAl to provide small court input on CCMS. What happened to all of that work? Typical AOC, always redoing work that has already been done for a different result. We’re sad to see Mr. N leave our Northern California recruiting effort. We can transfer his file to our other recruiting hotbed. The strategic placement of AOC loyalists in trial courts allows top leadership to gain information and control. And as for a “small court version of CCMS”, are you telling us that, after all this time and money (and apparent prior input from smaller courts) , a “small court version” does not yet exist? If not, long will this take, and is this going to further age out CCMS? Is this an excuse to buy time, funnel more money to the AOC/Deloitte, and tell the legislature it is “working with the smaller courts as we speak so don’t interfere”, or all of the above? JC, the smaller courts did not want a small court version per se but to have their input into CCMS, to make a more efficent sytem. For example: in a small court you don’t have multiple people doing a criminal process. The same clerk will do the intitial case filing computer input, actions that occur throughout the case and the disposition. It is kinda hard to explain, but if multiple users do this process with the CCMS as is, there are many multiple screens to complete it. So if you are a clerk who does it all, it takes 10 times longer to do the task because of the multiple screen stuff.. Hopefully someone who can explain this better than I will give their input here. Obviously the current small court input into the process was just a load of lip service. The AOC is now saying the AOC employee that will help the small courts with this small court version will decrease the use of Deloitte. I believe it is an excuse to buy time and to allow the AOC to say they are accomodating small courts concerns about CCMS. In my opinion, it is a load of crap to get by until the CCMS flap in the legislature blows over, then this “accomodation” will cease. I also hear that CCMS will cost a court something like $10,000 or more! per employee for annual maintence (ok my spelling stinks). I agree that Mr. Nash was the last person most court folks wanted to see leave the AOC. This is the issue we have with CCMS. They’re not approaching this application the way that the federal courts approached PACER. Rather, the AOC wants to charge you too much money for way overpriced hosting services, way overpriced support services and a cadre of their own employees. Rather than give you the application to avoid all of those charges and the insufferable architecture and make an ongoing replica of your data at a significantly lower cost, they wish to control everything from the top down. The AOC never had any intention of listening to the smaller courts before, instead choosing to form their business model around its medium to large participants because many of the required telecom services are not available way out in the woods or out in the desert. Of course at this point it would likely require a near re-write of all of the code, which buys them hundreds of millions more in monies diverted from the trial courts annd more importantly, significantly more time to make these diversions to purportedly meet your needs and make these changes that they previously ignored. I want to know the first small court that buys into this fallacy even at some discount, as this is like giving a customer a free sample of heroin, knowing they’re coming back with money in pocket. JCW well that is right on however some small, medium, or large court will buy into it because their case management system is virturally useless and they are totally desperate…Fresno and SLO are prime examples. It is like the first courts that bought into the CARS financial system. They had dumped their counties and had no system to the fill the void. Courtflea – It is all part of the strategy. At some point an older system is going to completely crash and a small court will have no alternative but to take a chance on CCMS using the Ventura/SLO configuration. Then the AOC can spin this as small court buy-in to the CCMS concept. Meanwhile, the clerks in a small court, who are generalists, will find their processing times double and triple due to the complexity of the system. The AOC should have thought about a small-court configuration 9 years ago. It would require a huge investment of time and effort for small courts to design a configuration at this time. Given the lack of funding for deployment, no one is willing to take the risk of losing that investment. JCW – $10K per employee is insane but needed to support the massive tech center costs the AOC has locked into. Support and maintenance from a commerical vendor would be less than $2k/user per year. Hypothetically speaking, let’s assume you are the presiding judge/CEO of a small financially challenged court with an older system that is likely going to crash. Soon. You have patched things with prayers and bandaids. What is a viable right-now real time alternative to the AOC’s siren song of CCMS? Perhaps courts in this situation ought to be putting out requests for proposals?